In the twentieth year of South Africa’s democracy, the Council of Ancestors send a delegation of two – Steve Biko and Neil Aggett – back to South Africa to determine whether the sacrifice of those who gave their lives in the struggle against apartheid, was worth it. This satirical two-hander premiered on the Fringe at the National Arts Festival in 2014. Set in 2014, twenty years into South Africa’s democracy, this two-hander genuflects to the great South African theatre classic, Woza Albert. 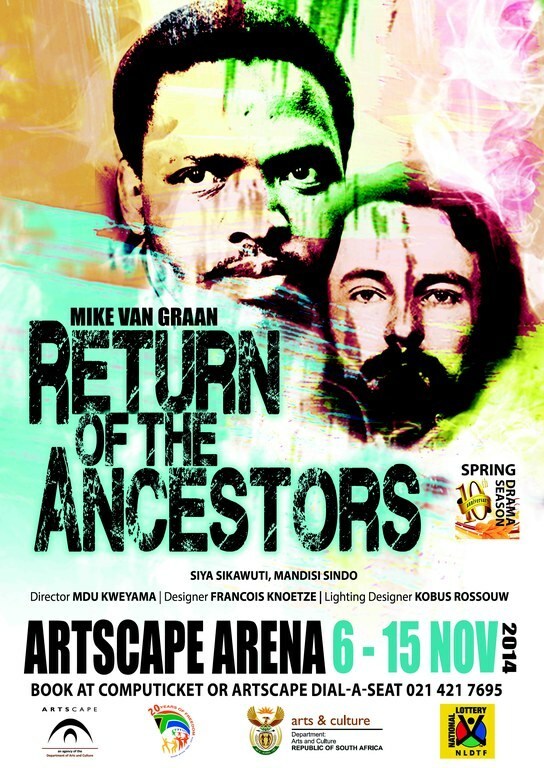 The Council of Ancestors decides to send two of their own back to South Africa to see whether their sacrifice in the struggle against apartheid has been worth it. Steve Biko and Neil Aggett undertake the mission, and arrive in South Africa where they hear that the celebration to mark how well democracy has worked will take place in Nkandla. The play is about their journey en route to Nkandla…. The script is available on the website. There is no audio-visual material.